Last night many of the no on home rule signs were taken in west sedona to the roundabouts all the way to back o beyond. Dark forces were out slithering as Jennifer puts it in the dark. If that’s not a reason to vote no on home rule, I don’t know what is. If there existed a shadow of a doubt that change is sorely needed in Sedona, reports of blatant vandalism occurring here during the weekend should make it very clear. The answer is “yes.” Most assuredly Sedona is no longer the beautiful, spiritual place on this earth which, over the years, has attracted so many people. Now faced with controlling opportunists who are in fear of losing the upper hand to continue their trend to over-develop this once magnificent gift, they are behaving like savages. Destroying political signs of opposition should be regarded as unacceptable by all who live and visit Sedona. And if we presently have a City Council and City Staff who would defend and support this despicable and actually violent behavior then they are no better than those committing the crimes. There should be no doubt residents as well as tourists deserve better than this. Quite possibly it will occur with a ruling relating to the recent investigation from the State Attorney General’s Office, soon to be announced. 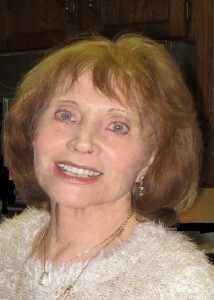 But for certain and even more important is to replace our ineffective leaders with individuals who will cease and desist catering to a particular special interest group, who will put a stop to this criminal activity, and responsibly serve to provide and protect the health, safety, and welfare of Sedona residents, visitors, guests and tourists. @Eddie S. Maddock Vandalizing signs has become part and parcel of Sedona elections —– ALL OF THEM including School & Fire District Boards and ballot issues. Sedona residents are small fish to fry for the controlling REGIONAL chamber of commerce and affiliated lodging council. That city/contract deal set the stage for incorporated Sedona to be the big shots (editor would probably have deleted what I wanted to write) and run amok funding to most who ask ( inside or outside City Limits ) from the City of Sedona pocket book. So any potential city council candidates or ballot issue going against our present “gang rule” will be punished. Destroying signs is merely the tip of the iceberg so to speak. Needs to stop—– Vote NO on Home Rule. Vote NO to incumbents. @Nice try, comments are appreciated. Points well taken. The plot thickens. Seems the SB1487 complaint filed against Sedona by Sen. Judy Burges has now been withdrawn by her. However the good Senator Burges has filed a new complaint under the terms of AZ Revised Statutes 35-212. Not even attempting to decipher what all this means good sense tells me to let it alone. The point being certain questionable policies in Sedona are still being scrutinized. Well guess what Mr. Pickels? How many Sedona residents and voters do you suppose agree with those words based on the action taken by certain city council members since 2013 when “they” had the audacity to set in motion the contract with a regional Chamber of Commerce without competing bids, and thus continue to plunge to new lows for elected officials snubbing the will of the people. Hats off to Senator Judy Burges as well as Rep. Bob Thorpe who has been maligned without mercy during this legitimate method for the public to apply checks and balances on the actions of their elected officials. As reported by Smith Travel Research, occupancy in the Scottsdale market experienced a slight increase from 67.2% in March 2015, compared to 67.6% in March 2016. The City’s Treasurer’s Office reported bed tax revenue flat through March 2016. The proposed FY2016/17 Destination Marketing contract budget amount is $9,357,000 which represents 50% of the estimated FY2016/17 bed tax total of $18,714,000. An allocation of $310,852 will be prepared from non-destination marketing funds toward the 2016/2017 Fiesta Bowl games. The FY2016/17 Destination Marketing Guide describes the destination marketing plan and tactics that will be used to implement next year’s program of work. The plan, which contains the proposed performance standards and contract budget has been reviewed and recommended by the Tourism Development Commission. In addition to the general direction and major activities areas to be undertaken by the Scottsdale CVB, the following are a few areas the bureau will focus on this year to drive new visitation and meeting groups to Scottsdale: 1) launching new brand and corporate identity, 2) shifting marketing strategy to maximize resources and new brand, 3) better deployment of sales staff to enhance efforts, 4) hosting more clients to showcase destination, 5) support of the city’s tourism strategic plan. Thank you @Maxwell (Max for short) for the update. My own opinion remains that had the city council negotiating the original contract with the Chamber of Commerce taken the time necessary to obtain competitive bids (RFP’s) to begin with much stress and unnecessary upheaval in Sedona could have been avoided. The action now taken by Senator Burges will hopefully provide the method by which this nasty situation will rightfully and legitimately be resolved. At long last @Steve Segner and his analysis of Scottsdale’s marketing plan never once mentioned a Chamber of Commerce. References to Scottsdale CVB Destination Marketing Plan and Smith Travel Research is a far cry from a pathetic and amateur “regional” local chamber of commerce playing big shot and pretending to be what they are not! Go big, Senator Burges. Sedona, a spotlight in the State of Arizona, deserves a thorough house cleaning. The estimated population of Scottsdale is 246,645. The estimated population of Sedona is 10,397. The city of Scottsdale invites you to open a b and b and move there. They would love your ideas and strategy. Git along now. Don’t forget to vote in the adjacent town. As it usual for you Segner, your entire cut and paste recital above has no bearing on what’s happening in Sedona. However, the statement enclosed in quote marks does shed light on the fact that the these performance standards, SUBJECT TO AUDIT, in the City of Scottsdale’s contract with the SCVB are NOT present in the City of Sedona DMO Services contract with it’s Chamber, nor are any periodic audits. 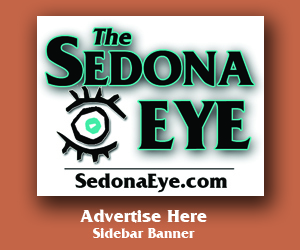 I am simply amazed that every time you comment here at The Eye Segner you, unwittingly as usual, give support to the Sedona Chamber’s opponents. You know, Jen Wesselhoff needs to put a muzzle on you little guy (Segner)! 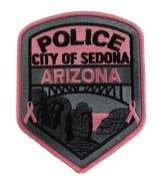 You’re just killing her attempts to justify her contract with the City of Sedona. Please, I beg you, in her behalf, to just shut up and go away. Earth to moon – comparisons ain’t going to fix it. 1. Enjoin the illegal payment of public monies, including violations of section 11-952 and title 41, chapter 23. 2. Recover illegally paid public monies plus twenty percent of that amount together with interest and costs, including reasonable attorney fees, to be paid to the state treasurer or other appropriate official, or, in the case of public monies of a political subdivision that did not originate or were not received from this state, to the political subdivision, to the credit of the fund from which the payment was made. 1. Any person who received the illegal payment. 2. The public body or the public officer acting in the officer’s official capacity who ordered or caused the illegal payment or has supervisory authority over the person that ordered or caused the illegal payment. 3. The public official, employee or agent who ordered or caused the illegal payment, including a payment ordered or caused to be made without authorization of law. C. A public official, employee or agent of this state, a political subdivision of this state or a budget unit who is charged with collecting, receiving, safekeeping, transferring or disbursing public monies may be held personally liable for an illegal payment of public monies, including payment made without authorization of law. D. A public official, employee or agent of this state, a political subdivision of this state or a budget unit who is responsible for disbursing, collecting, receiving, safekeeping or transferring public monies pursuant to a warrant or other form of claim that does not originate from the public official, employee or agent making the disbursal may not be held personally liable for illegal payments made pursuant to such warrants or other claims unless the public official, employee or agent knew or should have known that a warrant or other claim would result in an illegal payment of public monies. E. An action brought pursuant to this article is subject to title 12, chapter 7, article 2. If the action is brought by the attorney general, the action must be brought within five years after the date an illegal payment was ordered and section 12-821.01 does not apply to the action. F. For the purposes of this section, “public monies” includes all monies coming into the lawful possession, custody or control of budget units, state agencies, boards, commissions or departments or a state officer, employee or agent in an official capacity, and all monies coming into the lawful possession, custody or control of a tax-supported political subdivision or an officer, employee or agent of a tax-supported political subdivision in an official capacity irrespective of the source from which, or the manner in which, the monies are received. Don’t be fooled by the clowns that post false information. They are being enriched by the taxpayers dollars. A. A city or town shall not discriminate against hospitality industry businesses in the collection of fees. All these comparisons given by those getting enriched with public funding for their private club is intended to confuse you. Scottsdale has a Voluntary-Coop CVB where 2 municipalities and 2 Indian Reservations NO non-contributing LODGING is PERMITTED. The contracted lodging districts don’t join, nor do they pay MORE money to be listed. @Jack well spoken and well defined. My guess is there just might be (might be being the operative words) a President/CEO of the Sedona Chamber of Commerce and the leader of the Sedona Lodging Council a bit nervous about now. On the other hand probably not. They are so damn confident of their handle and control of the city they think they are untouchable. We’ll see. And for the life of me I cannot understand the flippant attitude of the Sedona City Attorney. He, too, appears to believe he’s above the law (no pun intended). Again, we shall see. One way or t’other the winds in Sedona just might be a’changin’. The outcome of this election should be extremely interesting. Is this who you want as mayor? Please everybody get you facts straight before you think that the Chamber, Sedona Lodging Council and City Council are going to be hauled off to jail. The Chamber is a Non-profit organization that under state statue 9-500.06 (c)(d2), the city can contract with this type of organization to promote Sedona. Donna, please read the whole statue and not just the part that suits you. As stated in previous council meetings, the Vice-Mayor contacted three DMO’s to see if they were interested in bidding for the DMO business and all three said no with regards to all the activities the Chamber performs for the City. What the eff activities does the Chamber perform for the City? The Chamber is obligated to serve THEIR MEMBERS! Period end of report. DUH -DOUBLE-DUH and see a doctor for dementia remedies. Oh, how the misinformed spews information that they have little knowledge of. The Chamber is the economic engine of this city, which they promote for the benefit of there members and non-members by bringing visitors to our great city. The businesses in this city are great partners and donate thousands of dollars/assistance to local non-profits and charities. Without this tax base you would be incurring one heck of a property tax for city services that you probably don’t even know you and our visitors are receiving because of our ignorance. Was disappointed to find several of you funded Act Blue to undermine the spirituality and calm that is the Sedona of our hearts. You sided with those that want to destroy Sedona in favor of business and commercial development. You sided with the worst examples of the Democratic party, thoughtless leftwing communist progressives like CGee and Red Rock Spews band. The traffic and business destruction of Sedona is because of your financial gifts to Segner and those Sedona ActBlue leftists like Chuck and Jessica. Never ask us again to support your causes like the airport pollution, the farm to table movement, your run for any local or state office. You sold Sedona out. You are against red rock serenity of Sedona. ActBlue doesn’t believe in Sedona, it believes in taking over and putting people in office that want huge government programs and to have power to dictate transportation and business that lines a few ActBlue pockets but not ours! This isn’t being done by the Republicans and Independents and Nonpartisans and Greens but by Democrats. I’m sick of heart to learn those people I once believed stood for the wonder of Sedona and a pure beautiful Sedona sold our Sedona out. I expected it from the Williamsons. But names like Bridget and Sunday and Marc on that list? Et tu Brutes. And what part of a “statue” did “Donna” leave out? And if by chance a legitimate audit takes place prior to the City/Chamber having an opportunity to cook their books, maybe, just maybe, the proof of questionable activities will be forthcoming. I don’t know. You don’t know. But let us hope the AG’s office will have some answers to very pertinent and important questions. Sedona was sold out for power and greed. So sad. It is unbelievable that Democrats of the Red Rocks, DORR would partner up with greedy tourist businesses to commercialize one of the most beautiful places on the planet. Our beautiful Sedona has been sold. Karma awaits those that did and assisted in this foul act. Sedona STILL is one of the most beautiful places on Earth..
You can’t see past your contempt and hatred. It shows what a moron you are, using “Yawn! !” with exclamation points. Obviously you failed elementary school. Sedona STILL is one of the most beautiful places on Earth???? Really? That’s just YOUR opinion and you do NOT speak for EVERYONE. Maybe you enjoy looking at massive resort hotels and sucking up gas fumes which doesn’t mean the rest of the people do. And that includes residents AND tourists. Your time might be better spent by backing up and reading Points to Ponder comment 9/9/18. It isn’t only incorporated Sedona being invaded by choking big mouthfuls. The slab structure now present by the former outlets is obnoxious and overwhelming. Completely blocks one of the VOC’s best panoramic red rock views. But what the heck? How great will it be for the almighty Sedona Chamber of Commerce for their VOC members to reap the harvest by offering nationally known resort accommodations without paying Sedona incorporated bed and sales tax rates? Now that’s really looking at a glass half full Sedona City losers!!!!!!! In my opinion, the Soy Boys of the Sedona Red Rock Fake News are at it again. They claim the Chamber did not advertise in Tucson, when there have been first hand reports of advertising in both Tucson and Phoenix in many types of media. I guess they never heard the message that real men don’t lie. I’m sure neither of the Soy Boys have ever been accused of being “Real Men”. One of them did post a link on the Sedona Red Rock Fake News about his transition. Like everything else the Soy Boy’s attempt, it too will be a failure IMO. I deeply feel you have to appreciate the courage it took Chrissy Foxy to make the transition (deleted by editor). No one should be made fun of for following zer feelings. It took real heart and pride to come out in a paper you work for. I wish zer every happiness, you go zi ! !Sedona is a very progressive community. Our rainbow coalition with the Red Rock News showed Sedona’s pride. !! Can someone please explain what message Rainbow Sedona was attempting to convey 9/11 – 5:01 PM? (“zer” feelings? “zer” every happiness? you go “zi”)? What am I missing???? Just hate the feeling of being left out of the loop!!!!! They claim the Chamber did not advertise in Tucson, when there have been first hand reports of advertising in both Tucson and Phoenix in many types of media. You want me to photograph the billboard, or tape the in room TV Ad’s, or the Airport TV Ad’s? Jennifer has also admitted the Chamber just temporarily stopped advertising in Phoenix only, this summer only. You’ve won, you get to finish Sedona as a desirable place to live and residential town. Last time I checked you don’t get to take the money with you. When is enough money enough? 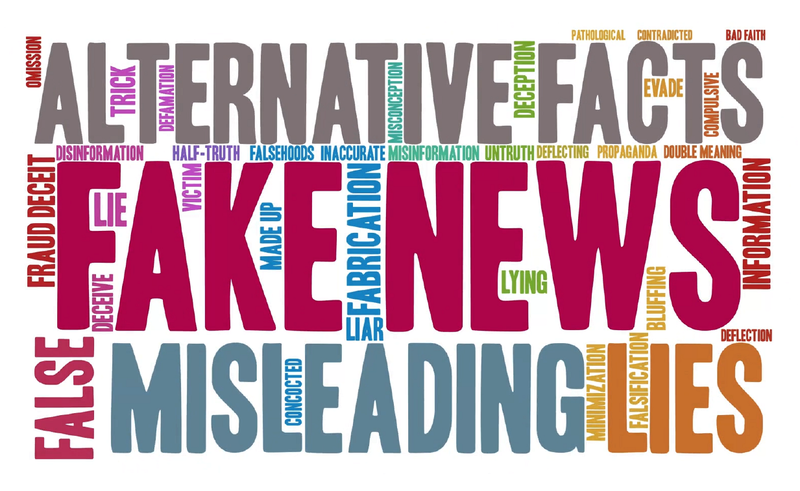 Lies are wrong. You and the Soy Boy’s at the Red Rock Fake News can lie and can ignore facts but you can’t ignore the consequences of ignoring facts. Karma will get you all. @Zteve Zegner. Kindly ztuff a zock in zer zinger (wherever zat happenz to be located on zer bod). Hard times create strong men. Strong men create good times. Good times create weak men. Weak men create bad times. IMO Weak men and liars in control of the Red Rock Fake News. IMO Weak individuals and liars on City Council and Staff that only think of this month’s tourist revenue. Some of these comments really are funny. Although the bottom line is sort of laughing with tears after the results of the election that proved the controlling force is hard at work maintaining that control.Maybe . 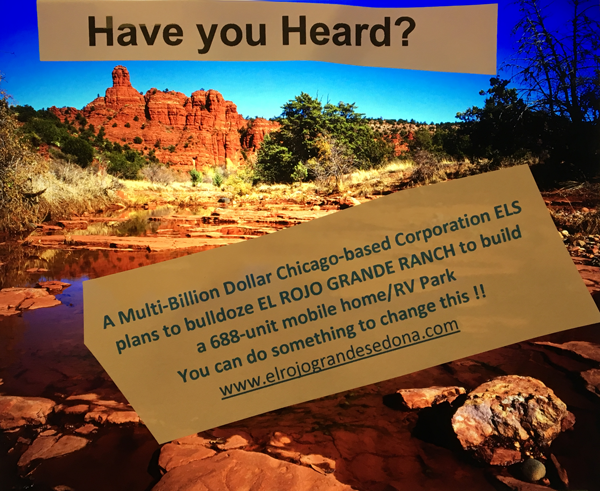 . . just maybe the results of the Attorney General’s investigation will be enough to put a stop to this Sedona City giveaway to the local chamber. 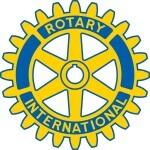 Their primary function is to serve members (most aren’t even within City Limits). Ticked me off when councilors and staff told nasty lies about how homeless little doggies and kitties will no longer get funding. NOT SO! With or without Home Rule a municipality must provide for homeless pets. Get it? It’s STATE LAW SHELTERS ARE PROVIDED. The AG’s investigation has to consider that other state law about city employees involved in influencing the outcome of an election. What? Sedona? Of course! It’s become that kind of city. Then why did home rule win with the largest majority it’s ever had ,and the largest turnout ever,seems to me the city should be run for the majority and visitors and business not the minority . It also seems the red rock news which you all seem to hate called the election Correctly! And poor Tony , whatever happened to all his earth shattering corruption that he was going to show us all ? @stevesegner The election was not the largest turnout its ever had. This misinformation should not be left unchallenged. More BS from Steve Segner. The election turnout was not the largest ever. Thank God for the AG criminal investigation. The batttle has just begun. For the fools who wonder why it was a slam dunk for status quo (including Home Rule) read what Steve Segner wrote. For once he nailed the reason. DORR going door-to-door and the control of the Chamber of Commerce. Add in the scare tactics (loss of funding to nonprofits) then toss in the number of people who vote in Sedona but live outside City Limits (use of fake addresses to register) and you have the balance of the equation. Brilliant work and credit for a job well done is up for grabs. If the AG wanted to do something worthwhile it would be to change the voting law in order to prevent individuals from using their place of work as a legitimate residential address in order to vote. That would be a start to leveling the playing field. In the meantime more and more houses are being listed for sale. More vacation rentals to compete with you Stevie boy? AG has plenty to work with. Belieba Me! 4 houses up for sale in my subdivision since the election. waiting to see what they sell for prior to listing our own. price is right & we’re out of here. Will also offer suggestion to potential buyers to keep it under the radar if properties are intended for short term rental. yes there’s more than one way to get a point across. bye bye beautiful red rocks of Sedona. you’ve been had by negative vortexes. go figure. OMG thanks at least a million times for the heads up. Have always wanted the chance to see the Segner Estate and listen to the two candidates for the fire board he is endorsing is a real opportunity. And then the possibility of seeing Mayor Moriarty close up oh WOW. Can hardly wait. Surely do hope the current weather trend doesn’t SNOW on Segner’s parade. Gracious No & Heaven Forbid!